Personalise this Mrs Bag with a surname up to 12 characters in length followed by a date up to 20 characters in length. The surname will appear in UPPERCASE. All other personalisation is case sensitive and will appear as entered. The word 'MRS' is fixed. 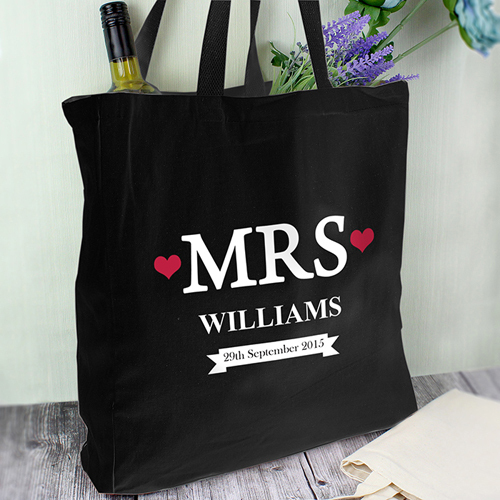 Personalise this Mrs Bag with a surname up to 12 characters in length followed by a date up to 20 characters in length.